This week it is lucky #1 UFO that I will be working on- Talkin' Turkey, by Bonnie Hunter. This is in her book "String Fling" and has strings in the blocks and the borders. 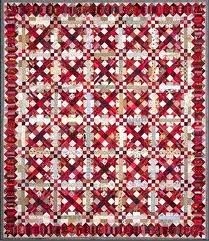 Love this quilt and in my favorite color RED! 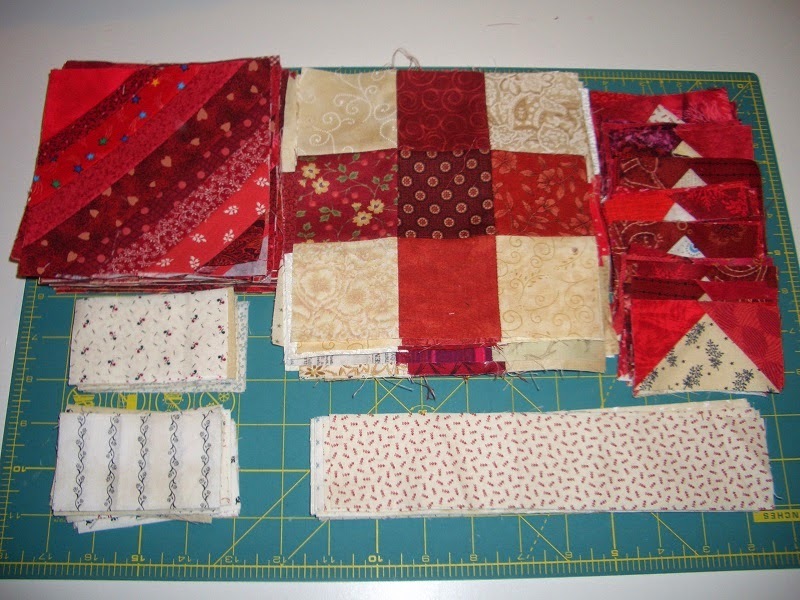 Next I will be working on the String Blocks for the outer border. 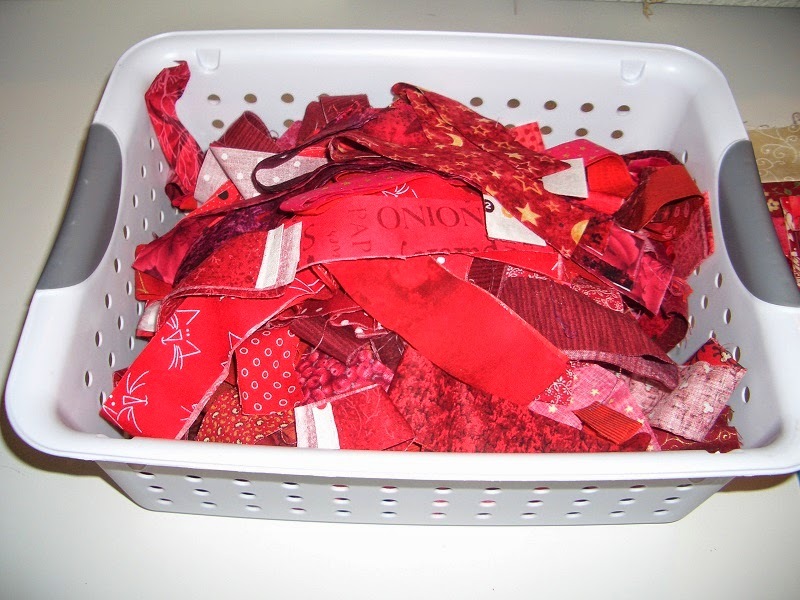 I have lots of red strings ready to go! This should keep me pretty busy this week and most likely for the rest of the month! Hope you are working on something great this week and getting in some sewing time. See more great design walls at Patchwork Times! Head over to Kwiltnkats, where my friend Sandi is working on her Talkin' Turkey!